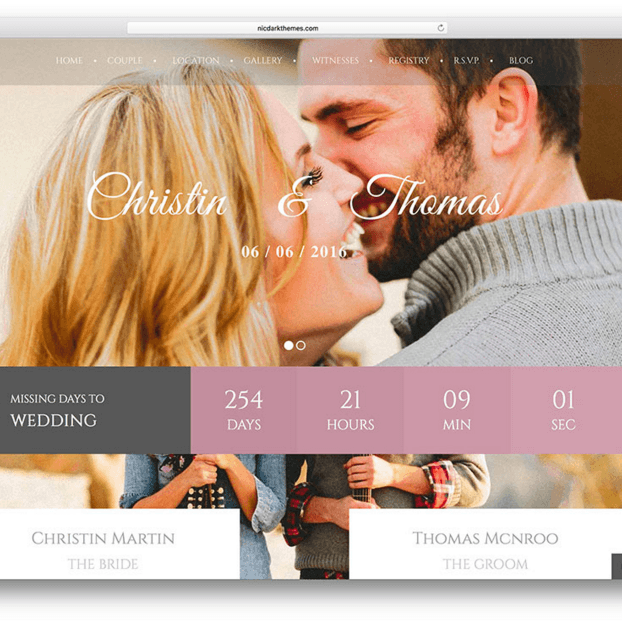 Wedding Day is a beautiful WordPress theme built for Wedding sites which is a great choice for inviting people to your wedding in a cool way. This theme is built with ultimate features that will surely impress your wedding visitors. This theme comes with unique sections made just for weddings, such as Couple Timeline, Event Timeline, Gift section, Guestbook timeline, RSVP Form. These creative sections will let you show and share your love story within a timeline. 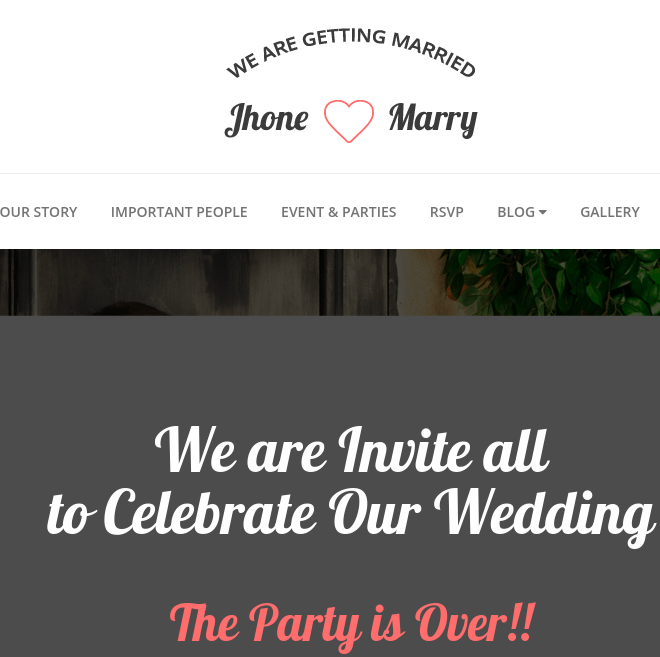 It is a cool one page theme with parallax scroll that will provide you with some more important sections such as you can have a special section for bride and groom, important people of the wedding with image, name and some description about them, event and party section, gallery section, blog section, etc. It will provide you with demo content so that you can refer this demo or directly use it for your wedding site. It is possible to import demo in one step. It is fully responsive theme which will adapt itself to any device it is being viewed on, no matter whether it is a desktop or mobile phone. It has advanced Theme Options panel for easy customization. Supports 600+ Google fonts shortcodes for important elements. 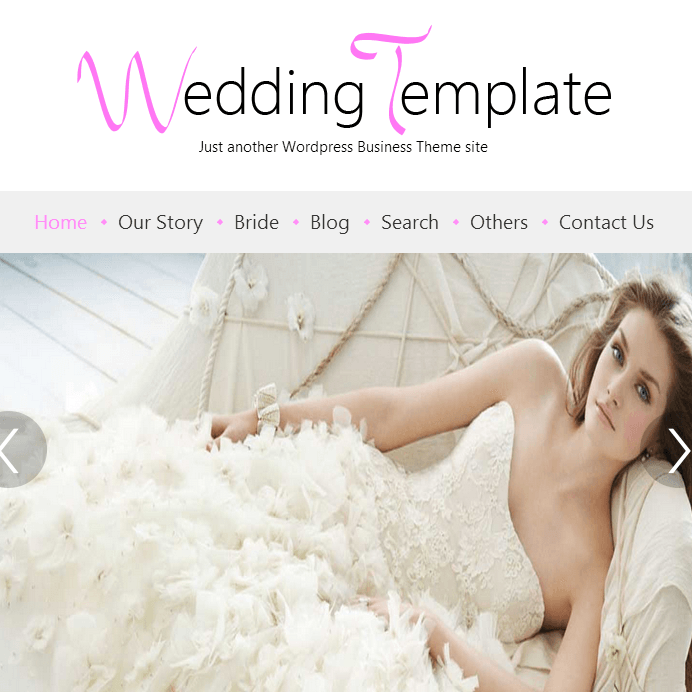 Wedding Day is one of the amazing theme that will help you to give an amazing look for your wedding site. There are different sections that is specially provided by this theme. Also there is a different sections for bride and groom to make it eye catching for the visitors.